AEL являются ведущим разработчиком, производителем и поставщиком коммерческих взрывчатых вещест в. Программное обеспечение для оптимизаци взрывных работ в горной промышленности, при буровых работах, проходки канав, траншей, подземных и открытых работах. 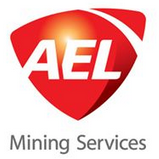 AEL Mining Services, a member of the JSE-listed AECI Group in South Africa, is a leading developer, producer and supplier of commercial explosives, initiating systems and blasting services for mining, quarrying and construction markets in Africa and Indonesia. AEL is also the largest supplier of explosives technology and initiating systems in Africa. With its head office at Modderfontein in Johannesburg, South Africa, AEL was established in 1896 and has become one of the world's leading suppliers of explosives and initiating systems. AEL Mining Services comprises 16 businesses complimented by production facilities and offices throughout Southern Africa, Africa, and select international regions in South East Asia, South America and Europe. AEL has 58 plants and 34 sites in more than 20 countries. Annual sales are over R6 billion with AEL Southern Africa business accounts for 60% of its sales, with the rest of Africa accounting for 33%. The balance made up from global channels, South America and South East Asia sales. AEL offers the latest generation products and service offerings for blasting operations. These include electronic detonators, centralised blasting systems, shock tube systems, boosters, detonator cords, capped fuse, igniter cord and blasting accessories. AEL produces and supplies ammonium nitrate and ammonium nitrate solution from its own manufacturing plants. AEL's bulk emulsion manufacturing plants provides the group with the capacity to produce and deliver timeously, even when volume demand increases. AEL also supplies a comprehensive range of packaged explosives. AEL deploys in-house engineering competency to design and build Mobile Manufacturing Units (MMUs) for surface and underground mining, bulk emulsion manufacturing plants and modular initiating systems assembly plants. Underground mobile and static emulsion pumping systems. Mining optimisation offers blast monitoring, design, timing, fragmentation analysis, basic blasting principle training, technology conversion, explosive engineering diploma, i-Mining mining productivity program and blasting consulting services. With 16 businesses in AEL Mining Services, the group also has production facilities and offices in South Africa, Egypt, Ghana, Mali, Tanzania, Ethiopia, Zambia, DRC, Zimbabwe, Botswana and Indonesia. Through its modular operations, AEL has the ability to deploy, set up and mobilise infrastructure in remote regions in a quick turnaround time. AEL partners, invests and contributes to economies in regions where it operates by meticulously caring for both people and the environment to unearth wealth for current and future generations. AEL continuously develops cutting edge technology by investing significantly in research and development to bring innovative solutions to the evolving mining and quarrying environments. With its large team of leading engineers and scientists, AEL has over a century of expertise and knowledge in developing ground-breaking and innovative blasting solutions. AEL partners with academic institutions to conduct fundamental research that will ultimately benefit industry. AEL embarked on the Initiating Systems Automation Project (ISAP) in 2006 and has designed, built and commissioned a high speed automated assembly line to deliver high volumes of shock tube product within a significantly reduced cycle time relative to existing manual processes. The project entailed various stages of automation starting with the manufacture of detonators right through to the assembly of final products sold to the market. AEL has developed the largest automated shock tube manufacture and assembly process, which substantially increases production, improves safety, decreases costs and sets an international benchmark for quality. AEL's Research and Development department has pioneered and patented many world firsts, one of them being the world's first commercial pyrotechnic spray drying plant, which will provide all the delay powders that the company needs for its new multi-million rand automated assembly plant. Услуги по бурению AEL, член JSE-перечисленной AECI Group в Южной Африке, являются ведущим разработчиком, производителем и поставщиком коммерческих взрывчатых веществ, начиная системы и обвиняя услуги в горной промышленности, добывая и строительных рынках в Африке и Индонезии. AEL - также крупнейший поставщик технологии взрывчатых веществ и систем инициирования в Африке. С ее главным офисом в Моддерфонтейне в Йоханнесбурге, Южная Африка, AEL был установлен в 1896 и стал одним из ведущих в мире поставщиков систем инициирования и взрывчатых веществ. Услуги по бурению AEL включают 16 компаний, похваливших производственными объектами и офисами всюду по Южной Африке, Африке и избранным международным регионам в Юго-Восточной Азии, Южной Америке и Европе. У AEL есть 58 заводов и 34 места больше чем в 20 странах. Ежегодные продажи по миллиарду R6 со счетами бизнеса Южной Африки AEL на 60% его продаж с остальной частью Африки, составляющей 33%. Баланс, составленный от глобальных каналов, Южной Америки и продаж Юго-Восточной Азии. AEL предлагает последние продукты поколения и предложения услуг для взрывания. Они включают электронные детонаторы, централизованные системы уничтожения, потрясают системы трубы, ракет-носители, шнуры детонатора, увенчанный плавкий предохранитель, шнур воспламенителя и уничтожение аксессуаров. AEL производит и поставляет нитрат аммония и решение для нитрата аммония от его собственных заводов-изготовителей. Оптовые заводы-изготовители эмульсии AEL предоставляют группе возможность произвести и поставить timeously, даже когда требование объема увеличивается. AEL также поставляет широкий диапазон упакованных взрывчатых веществ. AEL развертывает внутреннюю техническую компетентность проектировать и построить Мобильные Производственные Единицы (MMUs) для поверхностной и подземной добычи, оптовых заводов-изготовителей эмульсии и модульных сборочных заводов инициирования систем. Подземные мобильные и статические системы накачки эмульсии.